The one car that always presents tasteful design with timeless beauty is the Rolls Royce Phantom. Whenever you have a special event and you want to make a lasting impression, you should opt for the perfect luxury car. LV Rolls Royce Phantom Rental allows you to experience the best sedan in the market, to mark the most important days of your life. Nothing beats the elegance and sophistication of a Rolls Royce Phantom. The best occasion to experience opulence at its highest would be your wedding day. To make a bold statement of class for your wedding, you should choose a highly professional Rolls Royce Rental in Las Vegas. We offer a range a Rolls Royce Phantoms, available in different colours, to match exactly what you need to make your wedding day is perfect. For your peace of mind, our rentals are chauffer driven, giving you the opportunity to fully experience the opulence and features of this one of a kind vehicle. There are so many other reasons that the Rolls Royce Phantom is the luxury car rental for weddings in Las Vegas. The high quality leather interiors and the unique elegance of this vehicle ensures the unforgettable experience of comfort, convenience and luxury. You have the chance to sit back and relax, while enjoying the luxurious amenities that are available on board. This stunning sedan offers exceptional legroom, and the rear passenger compartment has a fantastic amount of space. The spacious trunk allows you to safely transport all your travel baggage without fear of any damage. When it comes to the features available in this car, it is clear that nothing has been left to chance. The distinctive grill and rear-swinging coach doors can become a part of your reality with our Rolls Royce Rental in LV. There is a reason that royalty and celebrities the world over depend on this stunning representation of automotive excellence. 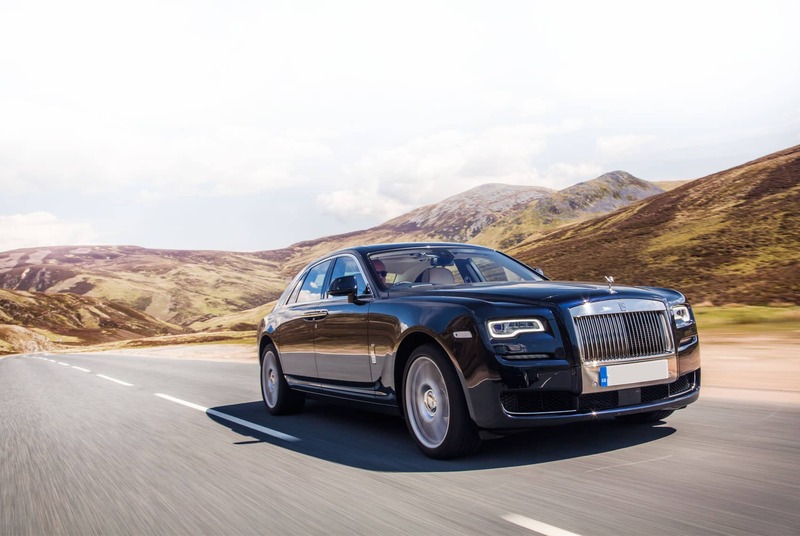 We can guarantee you one thing, you will not be disappointed with this car, if anything, and you will be hard pressed to match the fantastic experience of the Rolls Royce Phantom. LV Rolls Royce Phantom Rentals are in high demand, so get in touch with us for your advance reservation to avoid disappointment on your big day. You deserve to experience luxury, excellence and elegance. Create a lasting memory by renting a Rolls Royce Phantom in LV today.